Backpacking Iran! 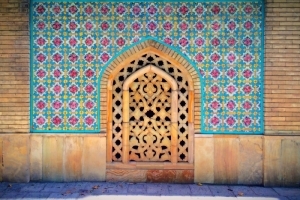 Who isn’t dreaming of a trip to Iran, the booming destination that attracts more and more visitors with natural wonders, blue-tiled mosques and wild bazars? In this complete travel guide to Iran you will find everything you need to know for backpacking Iran and for participants of a round trip alike. A good and reliable range of hotels is provided by the Lonely Planet Iran. Alcohol in Iran: Alcohol is strictly forbidden and will be punished for possession of up to 72 lashes. Well, you cannot say that there is no alcohol in Iran… For my part, I had some surprises during my planned Detox trip. Nevertheless, as a tourist, it is better to stay away from weird procurement methods. It is also forbidden to bring alcohol to Iran. 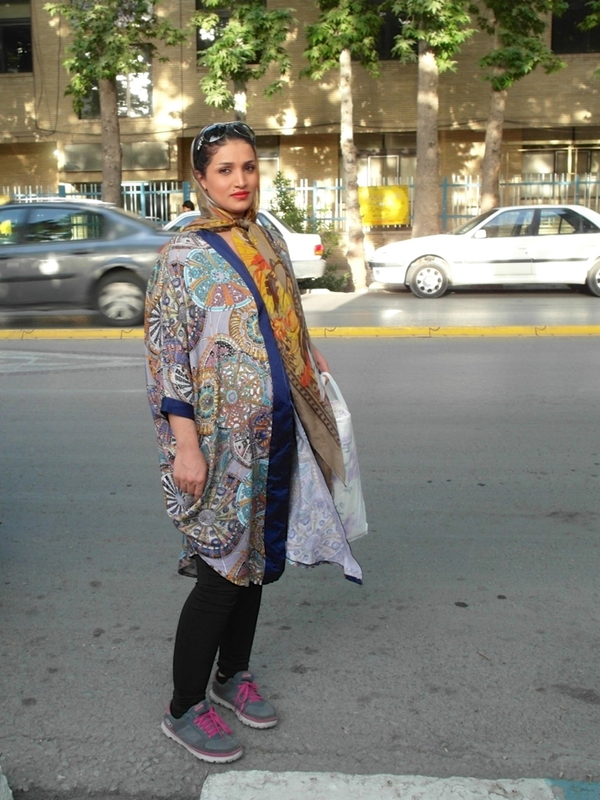 Going out in Iran: Are you kidding? There are no bars, no clubs, nothing. Party will take place only in your own home. You can find a detailed report about how it is to go backpacking Iran as a woman right here: As a Western woman in Iran – Leave emancipation at home. There are several tour operator that offer compact tours through the country, such as G Adventures. I have met some participants and figured out that they actually do the exact same routes that most backpackers in Iran also do. If you don’t need a proper tour guide and want more freedom of decision instead, traveling individually should be the better option. 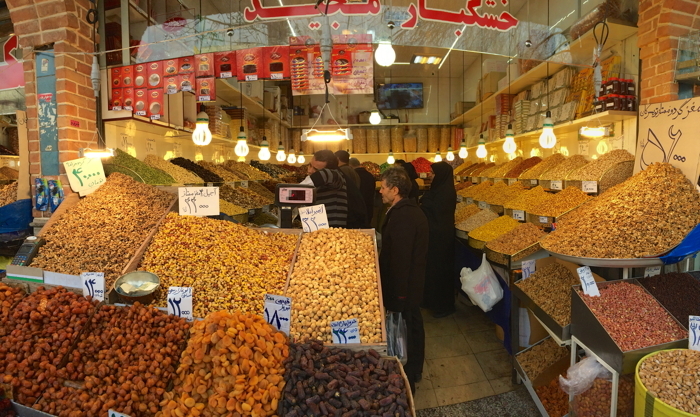 However, in my opinion both backpacking Iran and group tours have their raison d’être. I have to mention that no Iranian has ever tried to rip me off, although he might have had the chance to do so. It would be so easy to rip off tourists with this. Many hotels also accept US dollars and Euros. But you mostly get away cheaper with local currency. Another brand-new idea that is worth to check out is Mah Card, an Iranian prepaid debit card that is designed especially for tourists and temporary visitors. With Mah Card you can easily and instantly add funds to your card, in your preferred currency and convert it to Iranian Rial (IRR). This way, you are also protected from unauthorized purchases in case that your card is lost or stolen. How to get it? Simply sign up on Mahcard.com and order your card online. The card will then be issued on spot at your local hotel, hostel or any accommodation in Iran. It’s as simple as that. 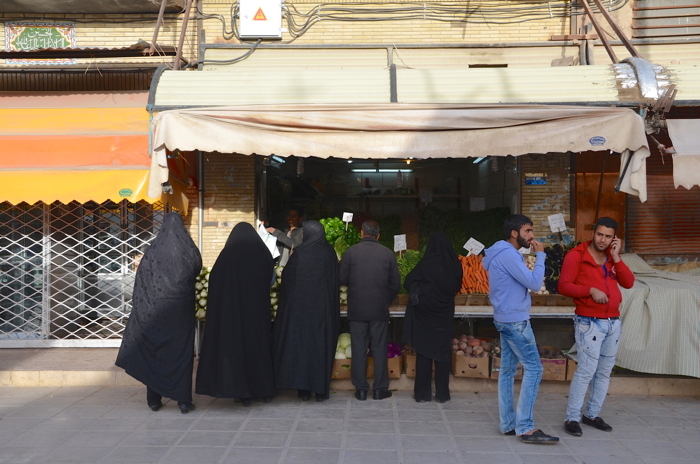 In fact, men also have to adhere to the dress code when backpacking Iran: no shorts, tank tops or short T-shirts. 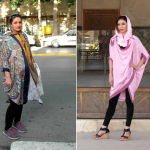 Please also check Anekdotique’s detailed article on the clothing and appropriate behaviour in Iran especially for women. Almost everything we think we know about Iran is the work of overzealous Western journalists. In Iran, no woman has to wear a burka, Iranians are no terrorists, not everyone has nuclear weapons in the basement and the Islamic Republic does not mean Islamic State. 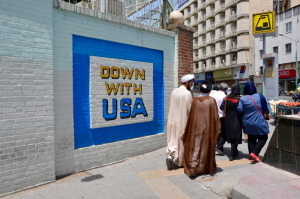 Iranians do not hate America; on the contrary, many secretly even cherish the American Dream. If you want to prepared to make Persian guys smile with your knowledge, check out the Lonely Planet Farsi Phrasebook – it’s a really good investment. I had good experiences especially with the Lonely Planet Iran (English), although the fact that some sight descriptions are pretty short, some prices overhauled and distances specified incorrectly. Nevertheless, in my opinion, the Lonely Planet is still the best travellers bible for backpacking Iran. Besides another very useful Iran travel guide by Bradt, there are two interesting books called Revolutionary Iran: A History of the Islamic Republic and Iran Empire of the Mind: A History from Zoroaster to the Present Day that gives you a good overall understanding of Iran and Old Persia. If you want an authentic reading, I recommend the book Couchsurfing in Iran by Stephan Orth who writes about the unknown sides of the country including prohibited alcohol and wild bikini parties. It gives a good impression of how young Iranian people really live. The book is in German, but there will (hopefully!) be an English translation soon. • Should anyone travel to countries that violate human rights? Right Saana, the country is getting more and more open to people. And backpacking Iran is a great way to get to know the place and its people. Have you been there yourself? people of iran are nice, kind and they have nice hospitality for tourists. iran have ancient and modern architecture place and delicious food. Thanks Dave, thats good to hear. Are you planning do go backpacking in Iran as well? A really informative article about a country that’s rarely blogged about. I’d love to travel to Iran in the future, shame I would only be able to go as part of a group tour. I find Islamic countries fascinating. It’s a shame that you cant do backpacking in Iran, Stephanie. But I guess its still a great experience in a group. As a persian i am really surprised about comprehensive information that you provided here. i am living in tehran .if anybody is going to travel to my country i am so eager to help he or she.live long and prosper Clemens. and also i wish that you have visited western parts of my country such as Yasuj or Hamedan which are located in Zagros Mountains . Hi, I am a Persian who is living abroad. I am glad you like to visit Iran but just wanted to mention that the best sights are related to Persian civilization from 5500 years ago and please don’t consider the country as Islamic country . Your pictures of Iran are just beautiful. 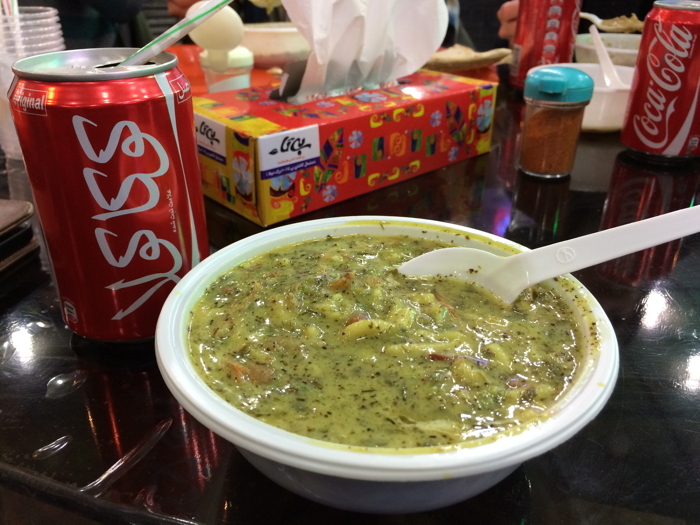 The kebab and the thick soup looks absolutely delicious! Thank you for a fantastic and comprehensive guide to travel to Iran. You’re welcome Brenda and Andrew. Are you planning backpacking in Iran? This was such an informative post and truly touches on everything you need to know when visiting Iran. I also appreciate the language basics. I always try to learn at least a few words to get by when traveling. Exactly what I think Dana. It’s always good to be able to talk to people. Although Farsi is not easy, you will get used to it a bit when backpacking Iran. Wow. It sounds like you had an amazing adventure! Iran is one of the many places that I want to explore and it’s great to have this post of yours as a future guide. Definitely bookmarking this, Clemens! Wow, glad to hear that Aileen! Let me know if I can be of any help for your future trip to Iran. This answers a lot of questions for anyone looking to travel to Iran-well done! I recently watched a CNN travel documentary on Iran, and since, have been saving furiously to (hopefully) go soon. As a woman I would definitely take a guide (better to be safe than sorry). Reading this inspires my wanderlust, proving that even the most “dangerous” countries by society’s standards can be done. Great guide! 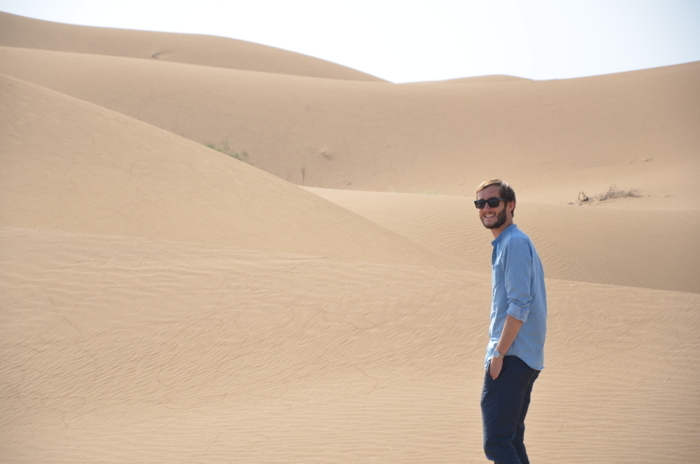 Andrea, Iran is really perfect for both, backpacking and group tours. And it’s always nice to have a guide by your side as well. wow, what a fantastic guide you’ve created! I’m curious though, how wheelchair accessible would you say that Iran is? I’m guessing that it’s not, but hopefully I’m wrong. Looks gorgeous! Well I would say that it’s ok for traveling with a wheelchair. Iran is not especially prepared for that, but I think it’s just like in Turkey for example. 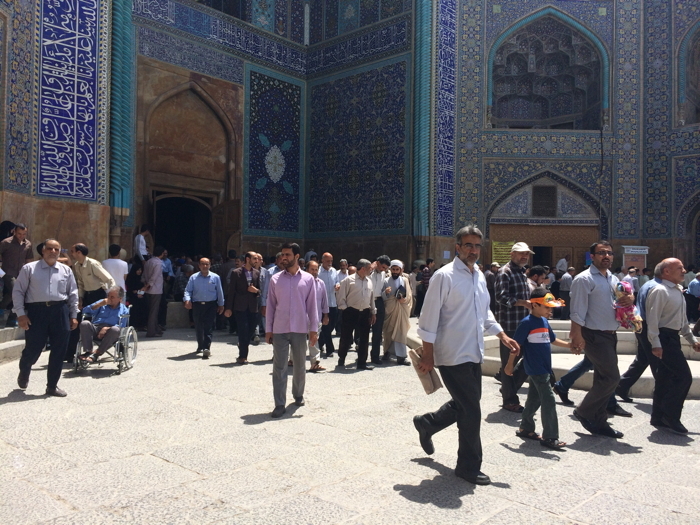 Iran looks beautiful, and it’s people look wonderful, the government however not so appealing. I do wish to visit someday, thanks for the helpful information! You’re welcome. And have fun backpacking Iran on your future trip! How cool! Did you get it? Good luck with it, Kami! Wow… So detail of backpacking travelguide… I do wanna go to Iran.. Thanks Alfi! Iran is wonderful and yes, I will go back to Indonesia for sure. Have been traveling to Indonesia five times already, but still hungry for more. Hi Clemens, that’s a fantastic post! About the Visa on Arrival: that was my choice of visa, since my application via an agency was compromised by the closure of all public buildings in Tehran due to pollution. I decided to just jump on a plane and get the visa on arrival. There were a lot of Europeans (French, German, Spanish) on my flight, doing the same. As far as I saw, we all got our visas with absolutely no issue. We just had to pay the fee. Thanks buddy! I will try Visa on arrival next time I will be backpacking Iran. Seems to be a good choice these days. I’ve just found your website today. I’m backpacking (solo) to Iran this coming Sunday for 8 days (Tehran, Shiraz and Isfahan) from Thailand. So excited now! I’m determined to buy some Persian rugs on the way home!!! Your blog is very informative. Thank you. Great to hear about your plans to go to backpacking Iran, Bordin! Btw, I’m currently working on a big Iran ebook for even more infos. You’re welcome Maja. You should definitely go backpacking in Iran! The currency you called false: Tuman, was the Old name not a false name for currency. Rials was the equivalent to cent and tumans were the equivalent to euro. Now, it looks like, for whatever the reason, Iran has dropped using the Tuman. I’m afraid your information is somehow incorrect. Rial is not and has never been an equivalent to cent. In fact Iran does have an official cent currency which is called “Dinar” although there has not been a Dinar coin for more than a century. Toman on the other hand, as old as it is, has always been a “fake” currency as described in the article. The term itself is a Mongolian term meaning “One Thousand”. It was intended to address to “One Thousand Dinars”. Dinar, as you might expect from a cent currency, is 1/100 of a Rial. hi Clemens ,I m Iranian and from Yazd . happy about good experience that u had in Iran.But there was something that i wanted to tell you.its Persian gulf ,NOT Arab gulf countries!! hope to have you again in Iran. .with best wishes…. Hi Fasad, I know, you guys in Iran call it Persian gulf, of course! I guess you passed a geography course in school.. Might be good to take a look back on those books 😉 Wikipedia is also a handy resource these days. By the way, you are doing a great job! In all the historical documentation it is refereed to as Persian gulf. I love your article but regarding to this part I should say you have made a mistake. It is not US saying that. go and search in all the Latin documents and maps. they were ITALIAN and GREEKS not Persian which refer to it as Persian gulf . by the way , im living in Isfahan and if you need any help there, just email me . Arabic or Persian is not a big deal, all are human and humanity is the most important! As an Iranian I would say you’ve been quite fair in your article and you have shown some significant points really well however the best choice to go Iran as same as some less unknown tourist destination is finding a Iranian help before going there ( it’s easy to find as iranian are mostly welcome to give you information as a friend or even in Internet as a random one). By this way you can find cheaper prices, better places to eat and to stay and also trying some prohibited fun in their fribdly parties). Hope everyone goes there gave a great time and don’t forget JADE CHALOOS( A really beauty road that connects Tehran to Caspian Sea). That’s right Amad. I had the luck to make some very good friends when backpacking Iran the first time. So good that I was even invited to a wedding a couple of moths later. Iranians are so hospitable! I think I drove along the Jade Chaloos! It was so nice and snowy back in January. It is not forbidden to take alcohol to Iran 🙂 If you are not a muslim / Iranian, you can take it. I did take to my family (my husband is from Iran, I am European citizen). Also you can consume alcohol in your home, you can carry alcohol in your backpack but of course it is not allowed to drink it in public. Even for Iranian men is forbid to wear shorts and t-shirts are ok if the sleeves are not too short :)) With the rest I fully agree, we are going to visit to Iran soon. Really Judit, I thought you are not allowed to take alcohol into Iran as a foreigner. Are you sure? yes, Judit is right! As a foreigner you can have alcoholic drinks for your personal use only. I actually heard from a christian Iranian friend that they are also allowed alcohol, well, they won´t be punished if caught drunk or carrying alcohol! I would appreciate it if you use the proper word ” Persian Gulf” in your texts. You can say Arabian countries in the Persian Gulf Region. Hi Ardavan, you are right, it’s Persian Gulf. Only Arab countries call it Arabian Gulf, right? Yes, and actually the official international name is Persian Gulf and it’s very controversial between arabs and Iranians. Iranians are very sensitive to this name. could I encourage you to please consider internationally and legally correct name for the ‘Persian Gulf’? By using gulf, one can ask which gulf? where? what’s the name of the gulf? there is no such thing untitled gulf….Then, if the answer involves misinformation, it won’t look good and lacks credibility. Yes, already noticed that Cindy, thanks! Yes also I would suggest editing as Iran is not part of the Arab world. One way to insult a Persian is to call them an Arab. Otherwise a great write up ! lovely article! I’ve been travelling to Iran since 1995 ( with and without my children) and I completely agree about the hospitality and friendliness of all the friends ive met. I have never felt in any danger, and in fact being a foreigner is an advantage in Iran, as everybody try’s to help or invite you to their house. As a woman, you do need to wear a headscarf, but that’s no hardship as everybody is in the same boat. One thing I would say is I’ve never worn tights, and usually wear open toe sandles or flip flops, never had a problem! I would love to know how it was back in 95 in Iran. I guess this amazing hospitality has always been very Persian. Good to hear that sandles has been ok for you in Iran. Thanks for the information. I have never been to Iran but I wish to visit in the future. I think tourists should be especially cautious in regard to photographing in public places. In the news of 2007 and 2010, a total of 3 Swedish citizens were jailed for 12 and 14 months for suspected espionage (without any evidence) by taking photographs by the Persian Gulf and in Tehran. I don’t know what they photographed, the news articles didn’t say any specific details besides their locations. My Iranian friends tell me that those places have “No photographing” signs, but it seems wise to even avoid standing too close to them, just in case. It’s always good to ask before taking photos in Iran, as it’s the same here in Canada. Regarding the swedish citizens: Swedes jailed in Iran for photos. An Iranian court has sentenced two Swedish men to three years in prison for photographing military facilities. According to Swedish media, the men took pictures of military buildings on Qeshm, an Iranian island. Don’t worry. You can capture picture in public places, except photographing from the sights which has the a sign that shows photographing is forbidden. This case is also really rare, especially for tourists. Do you think it is logic to arrest someone due to capturing photos from a sea by itself? I don’t think so and I have captured a lot myself. Dont believe what they say in media! who can accept that someone has been jailed for 12 months just because of photographing a building or nature …. even if you make a mistake and take a photo of a police station or …. they just ask you to remove it. I am sure the case for those people was different. Media manipulation ! thank you for the compliments,Did you try HALIM in Iran? and also ,does not matter what Arabs call to Persian Gulf,It is named Persian Gulf since afew thousend years ago. Salaam! Do you think it is a bad idea to go backpacking Iran alone as a woman? From my experience it is safe for women in Iran. I get more hassle walking the streets of london. It’s not a bad idea actually it’s fun, i saw lots of tourists in my last visit but not a single woman alone! I would suggest to do your first visit alongside with some friend(s) to get a bit of taste. Having said that if you just planning to visit major cities, going alone is as safe as going to Disney land. I would recommend you not to do backpacking Iran alone… Travel there with companion of a group or at least some male friends. im an Iranian woman and i could tell you its safe in most of the places , but its better to be with friends or a group in your first visit . As an Iranian I want to appreciate your realistic report about Iran. It has been always heartbreaking for me to hear that people of other countries are afraid of us. Essays like yours, will definitely help to change this imaginary sights. Contact me if you ever come back to Iran. I will help you as much as I can. I really enjoyed your review. I’m Iranian backpacker and traveller. although i live in Turkey I’m interested to help any backpacker or traveller who decided to visit my country. I think it’s great you’re showing the friendly face of Iran, that’s probably the most hospitable country I’ve been to! I might want to add some points to that. First of all, entry – Trabzon is THE place for a quick visa if you’re entering from Turkey. Also a friend of mine was able to get an extension of VOA. Internet – I had installed Tor browser before I went to Iran, and I could access everything (they don’t block Tor itself). Also, may internet cafes say it’s prohibited to use VPN, but I’d say it rather means ‘ask us and we’ll show you how to make it work’. I am from Iran, living in New Zealand. Thanks for the information about my country. It motivates people to travel to Iran and know Iran better than some wrong news in media. This webpage is being shared more and more in facebook and some other websites. Really great post, made me want to go to Iran! And wonderful photos! I hate that western media has successfully stained these wonderful countries with a bad reputation, and that it scares many people away from visiting. Great review. As an Iranian, I am glad that you had a good experience and am sure that your travel to Iran has left many sweet memories for you. You have prepared a valuable information pack for others who may wish to travel to Iran. I am happy you enjoyed traveling to Iran. I have some German friends who traveled to my country and had the same feeling about the country.I like the way you explained everything and it’s pretty simple to follow your hints for others who wish to travel to Iran. Thanks for your realistic feedback about Iran. Aren’t you those guys who wanted to go to Naghsh’e Rostam. You had trouble with a taxi driver in Bonab in a gas station, which you had asked for a car pool, but he was asking for money? I remember you guys! I hope you enjoyed your trip. of course it is possible to rent a car. We just saw the traffic in Tehran and the fact, that the main death reason in Iran is to die in an accident (!!) our decision, not to rent a own car, was clear. We are not used to drive in that hell of traffic like that. This seemed to be too much for us. 🙂 I think the puplic transportation system in Iran is so good & developed, that we could plan everything we wanted without feeling stressed. 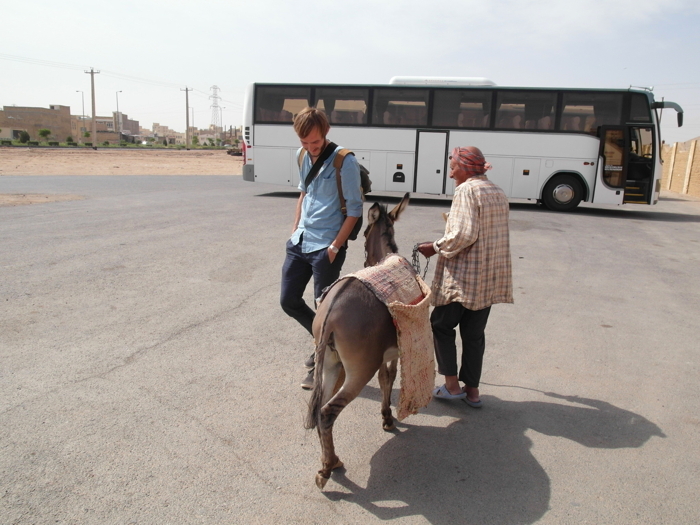 And a busride or taking the aircraft was always fun, because you get very easy intouch with the locals. As someone who have traveled to Iran and spend time with them, you should know that using Arab Gulf really disappoint Iranians. It is same as saying “to the other countries in Arab world”. These terms are insulting to their culture, their history, and their land. As an Iranian, who have had the experience of having couch surfers at my place, I recommend that as a backpacker you really start making friends, off the street even! People are really friendly and you will get to experience really cool underground lifestyle you might have never seen anywhere else. I’m not just talking about parties, but for instance, there are underground music bands (rock and electronic music), underground vintage bazars that sell what was left before the revolution (really cool posters and record players) etc. Happy traveling! Salaaam! 🙂 Thanks for visiting my country,you really explained iran in detail,yes this is” untold iran”. vielen vielen Dank für deinen schönen und ehrlichen Bericht. Ich hab mich sehr gefreut dass du einen positiven Eindruck von deiner Reise hattest. Ich wünsche dir alles Gute und hoffentlich eine andere Reise in den Iran! Falls die über Frankfurter Flughafen geht, würde ich mich für eine ette Unterhaltung freuen! i hope travel to iran made good memories for you, and i hope travel again and travel to my city :). and i hope one day travel to Germany ! WOW WOW WOW! I’m an Iranian and I just fell in love with Iran by reading your backpacking iran article! I’m so happy that in spite of all the negative pictures of Iran that you are being shown, you tried to visit Iran in person and wrote this article! please visit my facebook page and let me know if you or your friends come to Iran sometime. To be honest, we are still mistaking rial’s extra zero ourselves.. well it’s kinda hard to handle all these zeros, that’s why most of us use Toman instead. This blog is one of most accurate info about my country. Thank you for sharing it. Well, as an Iranian girl, I’m really happy that you enjoyed being here. Iran is a beautiful country and I suppose it actually worth to be visited. Clemens, next time that you wanted to come here, just inform me. It’s my pleasure to accompany with you to visit parts of country that you didn’t see. Again, I confess that It’s my honor to see that foreign people like my country and just for the sake of God, believe that we all like to connect with different people from different countries. As you know, nothing is what it seems! Found this link to Backpacking Iran while reading a different story about Iran. I am glad I read your guide, it’s very comprehensive & encouraging. After reading I have made up my mind to travel and see this great country and meet these lovely people. Thank you. Regards, Waseem. London. Please don’t hesitate to contact me, especially if you are planning to travel to Isfahan; I am ready to help you on your arrival. Thank you Clemens, this is such a useful article! I bought my flights to Iran only last night 🙂 I’m going with 4 guys, we’re all Czech and Slovak, so hopefully we’ll be perfectly fine. I head a lot about Iran and can’t wait to explore it! Dear Clemens, I am Iranian and I work in tourism field. Your article about backpacking in iran is really fascinating, i enjoyed it. thank you. 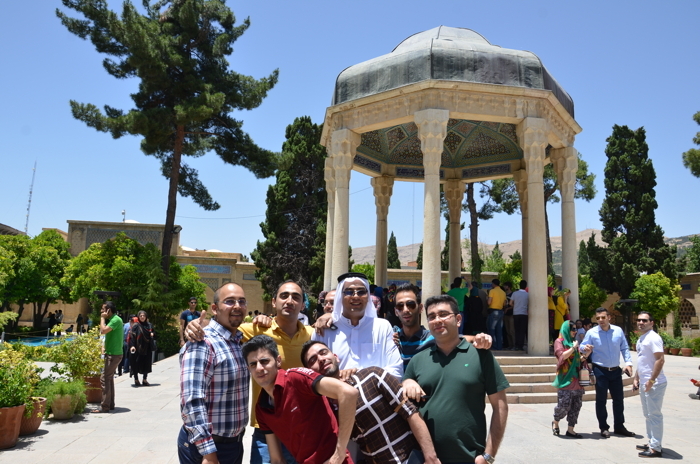 it is my pleasure to see you and other foreigners in Iran. i’m glad you had a nice time here. people translated this page and put into farsi websites. i wanted to see its original to see how the translation did go and gladly it went brilliant and translated honestly when i compared them. How times have changed. When i passed through Iran in 1977 no visa was needed, The Shah was still in power although only for another 2 years. The people were just as friendly as i have heard they are today. 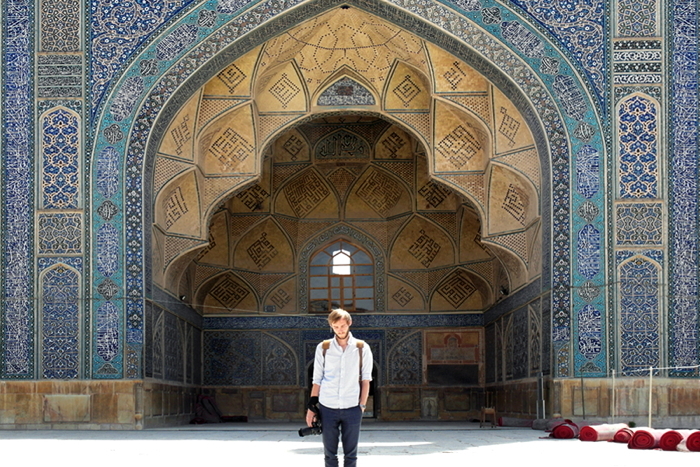 I would like to go backpacking Iran to visit again but as i am a British Passport holder there are a whole load of regulations in place. I never travel with a group and i object to being forced to hire a guide and book hotels ahead. That defeats the object of travel. Hi Clemens, I saw this link on the Under 1000 Club Facebook page. I really like this post because it’s so well considered and shows such a different side to Iran than is normally portrayed in the media. It has got such a rich history and cultural heritage that it is slightly saddening that it doesn’t come recommended more often. I’m really interested in the Middle East and this is making me want to go visit Iran so badly. 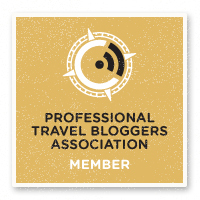 I’m just starting with travel blogging. Thanks a lot and keep up the brilliant work. SO jealous! This is one of the countries I’d most like to backpack but, as an American passport holder, I’m not sure I’ll ever be able to do. That’s right Stephen, it’s much harder to go backpacking Iran as an American. Good luck anyway! if you are going to write on an ebook about Iran I may help you. As an Iranian, I wanted to personally thank you about the article. به عنوان يك ايراني از شما ممنونم ! 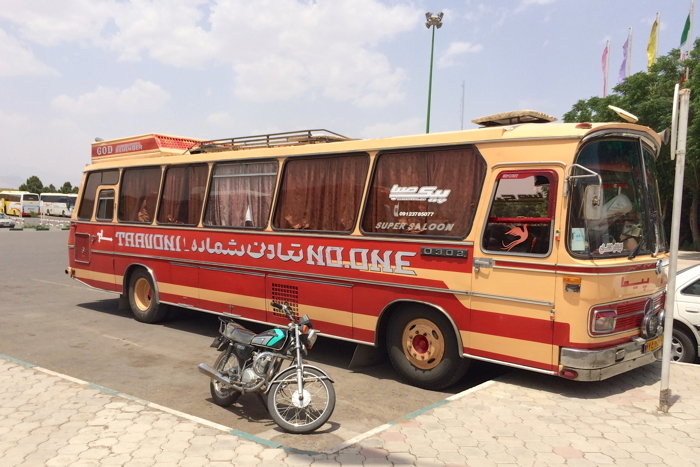 This is an interesting article about backpacking Iran, a too often misanderstood country. My husband and I visited it in 2013 and we had one of the best travel experiences of our life. We made a video (in italian) to show people how amazing Iran is and how welcoming and friendly the people are. I plan to backpack to Iran in April next year, and I will depart from Turkey. 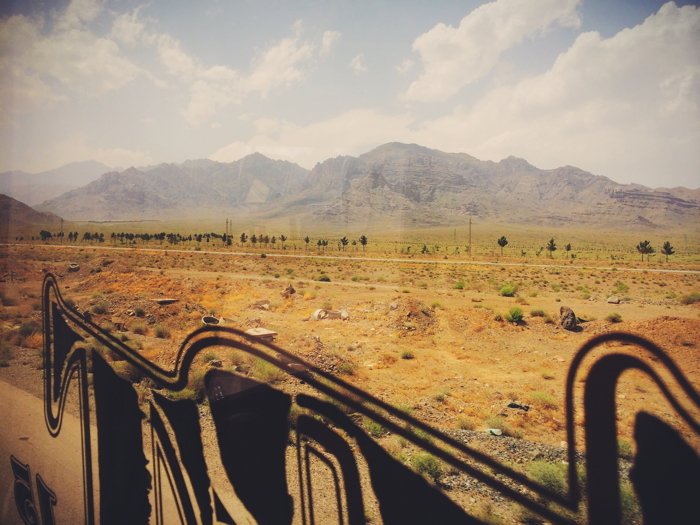 In your blog, you said it is possible to take train from Turkey to Iran, which I wanna try. So, my question, is that possible to book the ticket online? If yes, could you give me the info about the credible website to book it? thank you. Interesting ! I do agree with most of your diary. I was visiting Iran a few years back ( not as a backpacker though) and was surprised to see Iranians are very different from what we hear in the west ! 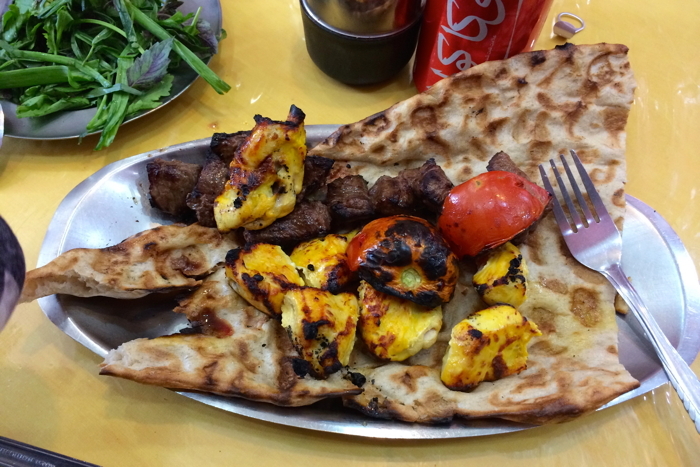 I did LOVE the food but could not eat as much as Iranians do! loads of saffron rice ! the nature was so attractively diversified for a person coming from north Europe. Still I keep doubting the media on everything ! they are either hide a part of the truth or lie! That sounds nice Dana! I’ll look it up. welcome . You can visit the city of Ramsar and the beautiful green countryside.Iran is a country of four seasons. The cost of travel to Iran cheap. Thank you for the article. Last summer my Australian friend, during his long ride from Sweden to Australia, came to visit me in Iran. I think he enjoyed so much. Hi, i am from Iran, nice to see that you visit our country but I have send lots of pictures for you from different historical places in Iran if you want to show more places from here. Thanks, I think I have to travel to Iran again soon to see even more. Fingers crossed that you will make it to Iran someday, Neda! I think you will love it. Great decision Mariel, you will not regret it. Let me know how you like Iran! Great to hear that Nous! I will keep it in mind for my next backpacking trip to Qeshm. This is a great article, and fills me with many sweet memories of home. I should say though, that “kheyr” is only used in formal writing. In common speech we simply say “nah”. 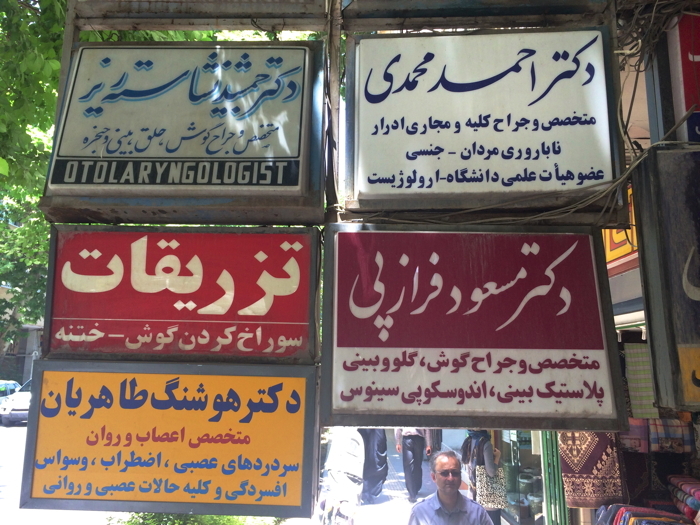 Recently i’ve been following the bloggers Yomadic, From Ice to Spice and this incredible Anekdotique in order to collect enough info about Iran. I plan to travell to this beautiful country October this year as a solo traveller, and let me tell you i’m more then convinced to do it on my own like i did last year through India (what an amazing trip!). I’m so looking forward to get in touch with the locals and testify their kindness and sympathy as everyone have been writing about. Could you please clarify me regarding money issues? I mean, i know it’s probably the most risky thing while there and i’m still curious about how one can carry around all the money during day and night trips? How did you managed to do so? Have you exchange all your Euros after you arrived? I think after i exchanged all the Euros to Reals there will be no room for so many Iranian notes. lol! I like your article on Backpacking in Iran. It’s well-organised and you’ve mentioned every little thing, the part about Rial & Toman! It’s a good source of information for whom they want to travel to Iran. It seems to me that you know my country very well. Be successful on your job! I’m very excited for your good experience in my lovely home, Iran! I’m a tourism activist in Iran. I hope to see you in next backpacking and help you if you need. I should add, I’m writer too. 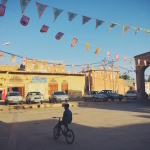 I’m writing documentary content for TV documentary, they are about historical places in Kashan, like Sialk, Fin garden, Bazar and ….. . do you visit Kashan? Are you a guide? We are Canadians and looking for a guide for our family of 6 when we travel to Iran end of April/May in 2017. Do you have recommendations? Hello. My name is mojtaba and I am from the historic city of Qazvin. If you like me, I invite you to visit Iran And I advise you travel. Of course, my English is not good, but I sincerely welcome you. my name is Roya. I’m an Iranian citizen. and I live in Tabriz. did you travel to Tabriz too? Iran is a historical country .I’m glad that you visited Iran. Your information about Iran are mostly correct and wonderful. I like Italy very much . but unfortunately I never go there until now. Hello Roya, I did not make it to Tabriz, but definitely plan to go on my next trip to Iran. Hope you will make it to Italy! I’m planning to visit Iran next month. Thanks for sharing this.Now i know what to do, what to bring, and what where to visit upon arriving. This was a great article. I’m hoping to go once in March with a close friend, gather some info and experiences, and then go again in October/November with my girlfriend. This is the kind of place I could visit over and over, I think. Great guide. Seems you had a good time traveling in Iran. We’re writing an Iran travel guide in our website, it’s not complete yet but i’ll really be happy to hear your opinion about it. Sure Mina, looking forward to reading about your experiences. I really appreciate your Guide full of usefull information for my travel planning. May I ask you for your travel route when you travelled to Iran in Jan 2015 for 2 weeks? And did you take any domestic flights? Hi David! Great idea to travel to Iran. I think I will come up with a Iran travel routes guide soon. 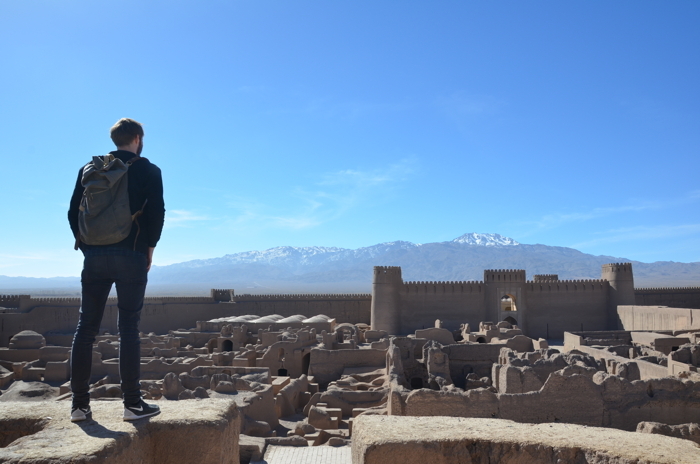 I would recommend for first time visitors: Tehran – Kachan – Isfahan – Yazd – Shiraz & Persepolis. That would make a great trip! Safe travels! Its a great article. There are many people like me who knew very few things about this beautiful country. It was a great experience to read your article. Glad to hear that Jessica. I guess you would have even more fun backpacking Iran yourself. Thanks for your nice overview, just noticed however that you located Kachan (or Kashan) as being North of Tehran, when in fact it is South on the way to Isfahan!! You may want to correct this..
Where did I write that Nina? But yes, you are right of course, Kachan is south of Tehran. hello my friend. I’m MOSTAFA. I’m from Iran. I like be friend with you. Hello Mostafa, my friend! Welcome! Iran is no doubt very beautiful place to spend holidays and this is attractive country on the whole. Good for shopping. 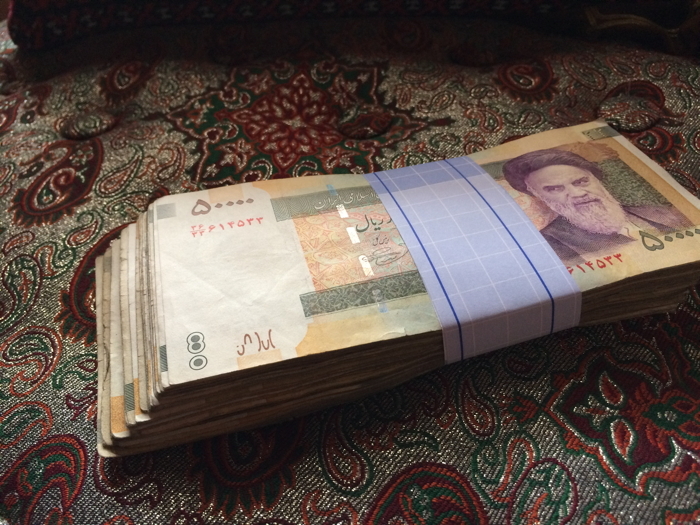 We are about to go to Iran next week, what is the most common scams in Iran ? Or you didnt have any experience of that ? I hope all of the VOA processing in the airport is run smoothly and without hustle, TFS this article ! and one more question, do we need an exact reservation of hotels? Is the immigration asking that question to you ? 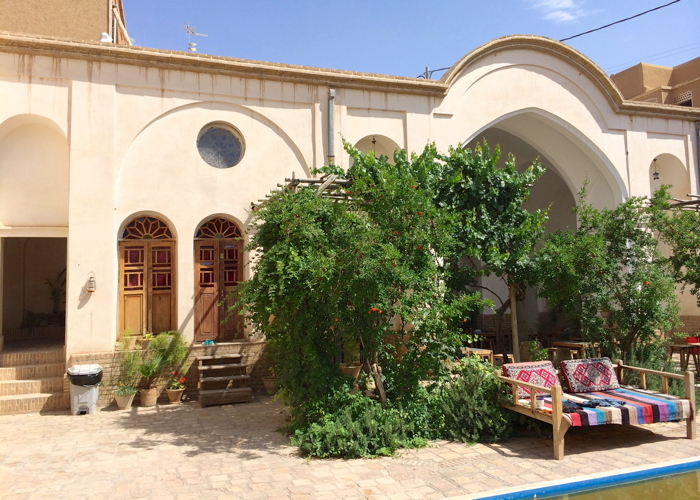 Normally not, but if you have the chance make a booking for the first nights in Teheran e.g. You never really now if the officer wants to see a reservation or not. I can’t of any scam that I experienced in Iran. People of Iran are actually just way too nice to rip you off. Where is the picture where it says “Backpacking Iran feels like being the Prince of Persia.” below.? Hi Adam, the photo has been taken in Rayen, which is close to Bam. Great idea. 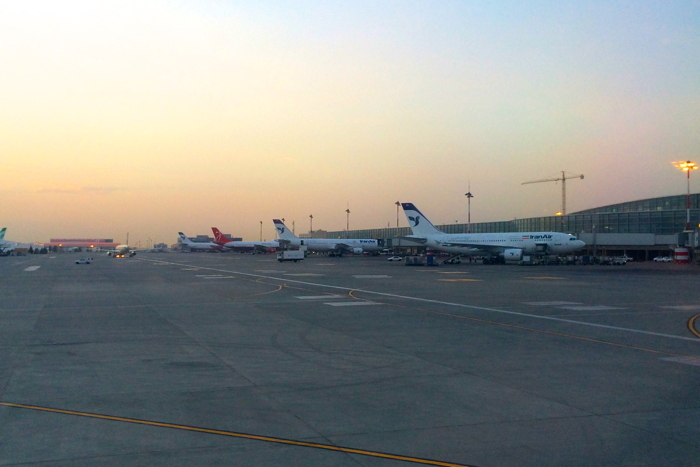 I would suggest to take a taxi from Tehran Airport to the city of Tehran. It’s easy and fast. hello. thanks for great information. Found a suitable information about travelling from Germany to Iran?I mean favorite Persian food, hotels, cities and places for travelers. Stumbled on this while researching for how to travel in Iran and what a comprehensive post! Bookmarking this. I can get visa on arrival there and planning to go there for a few days. Great to hear that Darlene! Have fun in Iran one day! hi, Im from IRAN, Shiraz city, i liked the comments and ur blog, i like to offer our Guesthouse in Shiraz, and also tour package, i can help you or suggest you anything about IRAN or our offers, im always available to talk. Thanks Saeed, I will keep that in mind for my next trip. If you go anywhere in Iran, you see some different amazing things about culture, foods, hospitality and specially local-dressing and … . I will definitely go back to Iran Morteza. Travel to countries that violate human rights – Yes or No?